Organization's in session: The Legal Three-Ring Durable Binder gives you the freedom and flexibility to organize legal-size documents any way you see fit. It doesn't take an expert witness to see the back-mounted three-ring design allows 8½" x 14" pages to lie flat and remain secure. 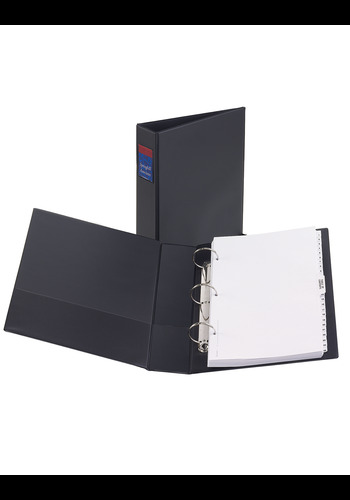 Two interior pockets provide extra space for storing loose or unpunched pages. You can even load the spine label holder with an insert for quick identification. And that's the truth, the whole truth, and nothing but the truth.